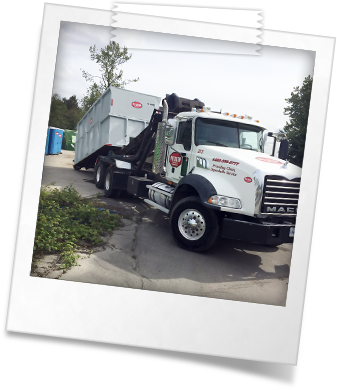 Pit Stop Portables is a reputable waste removal business with Roll Off Bin Services in the Greater Calgary area. We offer prompt and professional services at competitive rates. Pit Stop Portables supplies roll off bins and dumpster rentals to the greater Calgary area. From mini bin rentals to large containers up to 40 cubic yards, we’ve got you covered. Our bins are great for landscaping jobs, renovation debris, large paving, roofing, construction and much more. Why use Pit Stop Portables? At Pit Stop we are committed to giving you the best service possible. Our uniformed drivers bring the highest level of service and professionalism to your job site or neighbourhood. We promise you’ll be completely satisfied! Our partners at the landfills and transfer stations ensure our diversion rates are correctly reported so you can trust our commitment to being an ECO-FRIENDLY company. We have worked with numerous LEED certified buildings and contractors and are able to report on your needs.